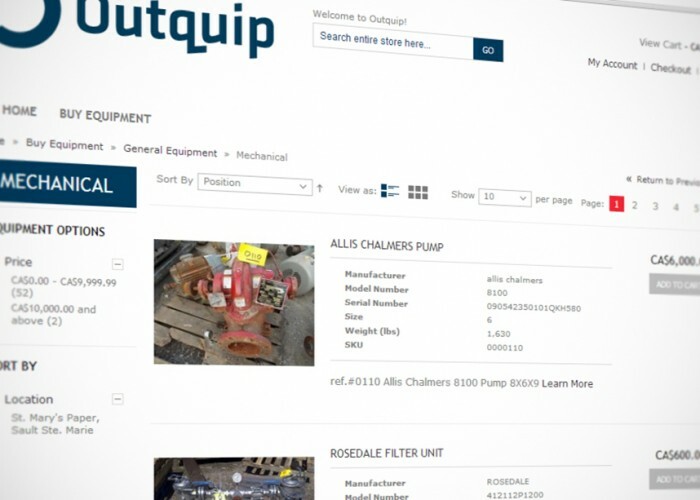 Outquip is an online solution for selling used industrial equipment for vendors around the world. 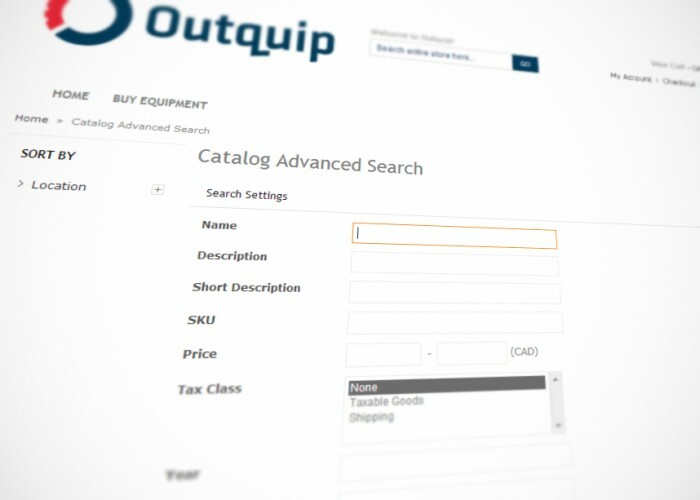 The Outquip team approached us after they had lined up multiple vendors with millions of dollars in used equipment inventory. They needed a partner with the technical skills required to build a custom e-commerce platform. The project was an ambitious one, as the system would need to accommodate various vendors from around the world, and also handle large transaction volumes. ChromeMedia Inc. welcomed the challenge and delivered a fantastic e-commerce site built with Magento. Early in development it was determined that the client would need a robust e-commerce platform that would support a considerable amount of custom work. As a result, we opted to build the site on the Magento platform. Magento is one of the most popular e-commerce platforms in the world, and is flexible enough to accommodate custom web application development when required. We ensured a robust administration system that allows Outquip staff to monitor all product inventory, track sales and process orders. 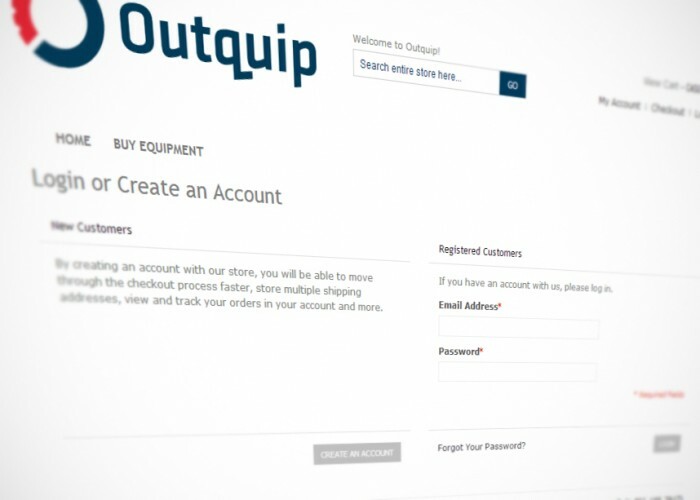 Outquip uses this area to upload new product to the site, and also monitor specific vendor accounts. In order to allow a seamless flow between the administrative end of the website, and the individual vendor dashboards, we built a custom system for allowing multiple vendors to set up and maintain their own accounts. Each vendor can maintain their own inventory, track sales, set up custom email transaction notifications, and apply changes and modifications to their product details. This system was designed to automate the process between administrative inventory maintenance and the catalogued display on the user-end of the site. All customers who visit the site can set up their own accounts to track their order history, view order processing status, contact details, newsletter subscriptions, etc. We set the client up with a fully integrated merchant account system that allows for payments through the website to appear directly in the client’s bank account. The site handles all major credit cards (Visa, Mastercard, American Express etc.) In addition, we have a custom ordering process to handle the sales of products that of a high dollar amount. We built a flexible system that allows products to be searched and filtered by multiple criteria, customizable right in the administrative dashboard. The customer required a streamlined way to upload vendor product information and they found the default Magento product upload system was cumbersome and time-consuming. We developed an upload system that automates the process from inventory spreadsheets to the site database with minimal back-and-forth between vendors and administrators and maximum efficiency for uploading products en masse. 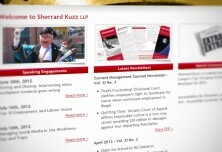 The client requested that products be associated with a particular Project. 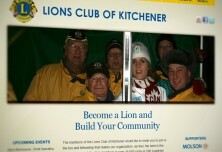 These Projects are designated by the location of the vendor selling products. Visitors to the site are encourage to sort products based on each Project so that they can locate items geographically relevant to where they'd like the items to be shipped; as many of the products sold through the site are upwards of thousands of pounds. Outquip is designed as a responsive website, giving customers and vendors alike the ability to navigate the site right from their smartphones and tablets. 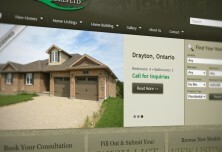 Every product page is optimized for sharing on social networks such as Facebook and Google+.